Laser dentistry is beginning to gain traction as it becomes more and more advanced, as well as being generally accepted by professional dentists. Lasers have recently shown a highly valuable use in the treatment of periodontal disease, also known as gum disease. Laser assisted periodontal therapy (LAPT) aims at the one goal of any periodontal treatment program: reducing your pocket numbers. If you are unfamiliar with this, your pocket numbers are the numbers read out loud often by both your dentist and an assistant. Any number that exceeds 6 should be treated with periodontal therapy to prevent severe decay from occurring. 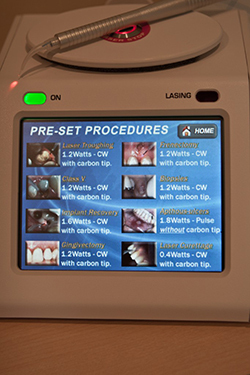 The use of lasers is supplementary to traditional scaling and root planning. A small diode laser fiber is applied to the diseased gum pocket (a darker, necrotic tissue) where harmful bacteria are instantly disintegrated. The precision of the laser allows only diseased tissue to be targeted, making sure healthy tissue remains untouched which allows for faster healing and results as the tissue begins to re-grow. Reduce Your Gum Pocket Numbers Today! Lasers a great choice for those who suffer from the anxiety of traditional methods of treating periodontal treatment. 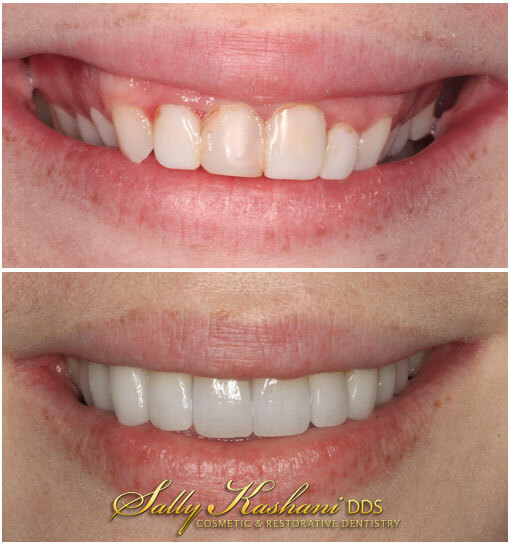 If you are interested in this treatment, please call Dr. Sally’s office at (818) 508–7272 or fill out our convenient online form and we will be with you shortly.